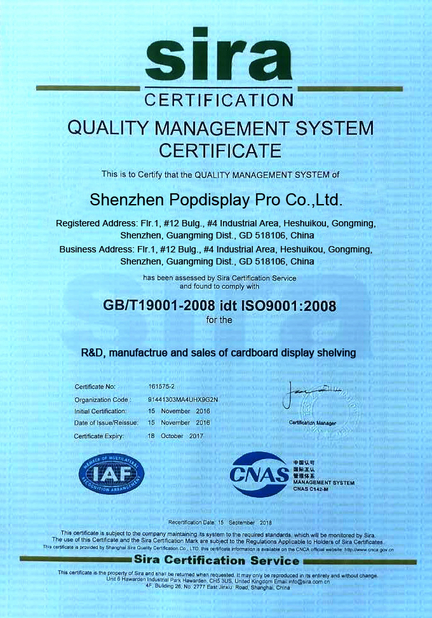 Quality Control - Popdisplay Pro (HK) Company Ltd.
Quality management is to achieve and exceed client’s satisfaction; this is only part of our goal to deliver consistent quality and services. 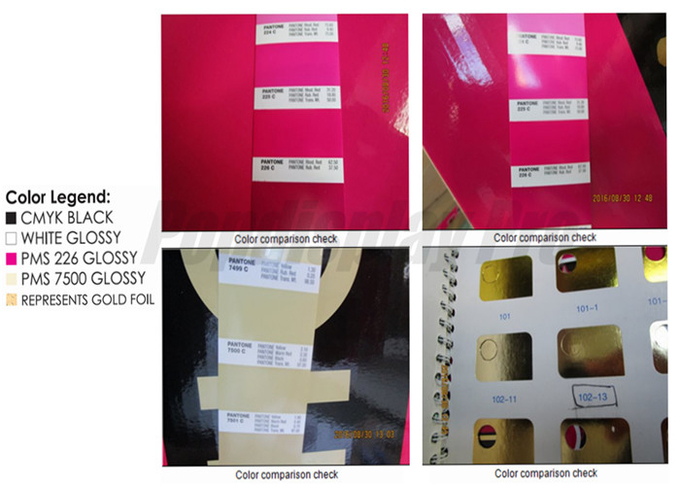 Design is the foundation of Popdisplay Pro, quality management is not only stated on paper, it’ s also borne in each staff’s mind at daily work. 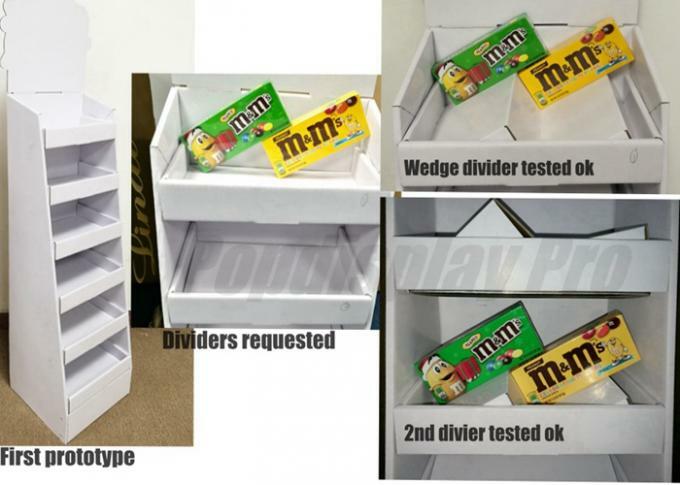 Scope/Range:Design, manufacture and sales of displays, gift box and packaging containers. 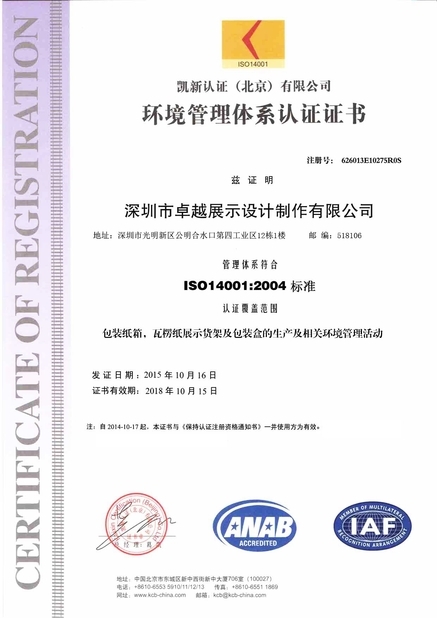 Scope/Range:Factory's activities compliance with requirements of envioronment, within the scope of design, manufacture and sale of paper displays, packaging containers and gift boxes.